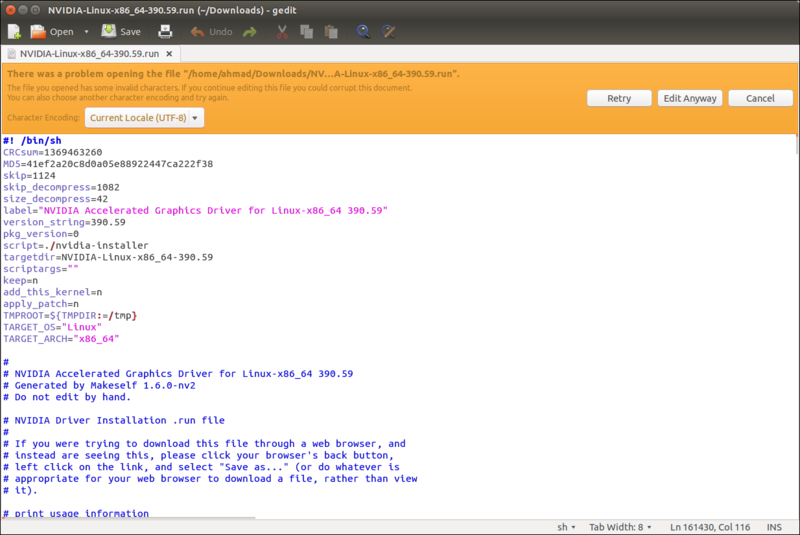 I am using Ubuntu 14.04 LTS and I really need for my work to use Nvidia driver. My NVIDIA card is NVIDIA GeForce GTX 1050 Ti and I find in http://www.nvidia.com/Download/index.aspx that driver version 390.59 is the driver I should install. Not the answer you're looking for? Browse other questions tagged 14.04 drivers nvidia software-installation or ask your own question. How do I check if Ubuntu is using my NVIDIA graphics card? How to uninstall manually installed Nvidia drivers? Where to find gtx560Ti driver for ubuntu 12.04? Installing Nvidia driver on Kubuntu 15.10x64: The distribution-provided pre-install script failed! Continue installation anyway?" two nvidia cards setup requires new driver?